Catapult your entry into the lucrative, exciting and rewarding world of Professional Speaking using the skills you already have. When I started this project I asked several prominent magicians who had made the transition into Professional Speaking for their ideas on how it could be done. I also asked two of the best known and most highly respected Speaker Coaches in the USA for their thoughts and tips on breaking into the business. I also asked a very well known Speaker Bureaux owner for her ideas. Some responded with specifically written pieces. Others gave us permission to reprint articles from their acclaimed books on the subject. To this material I have added my own thoughts and experiences after 15 years exploring this market niche. What should a Speaker have in their Promotional Press Kit? Do you know the questions a Bureau will ask you if you approach one? What are the 7 Keys that will ignite Hot interest in booking you? How do you build your career? What is the most powerful question you can ask a potential client? 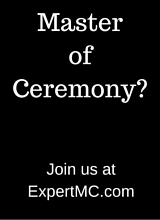 Should I join the National Speakers Association? What else is in the Masterclass? Chris Carey, long time MagicCoach supporter and author of one of the classic books on Magical Performance “Find the Stuff That’s You”, also “Do the Stuff that’s You – Volumes 1 & 2”, provided five pages. An Overview of the complete industry with his insiders tips and secrets. We have guest contributions from Speaker Coaches – Burt Dubin and Dottie Walters, magician/speakers Randy Charach, Shep Hyken and Comedy Guru and Electronic Marketing wizz Tom Antion. We include a very timely Warning for anyone entering the field and a discussion of the Marketplace for Magical Speakers. The “Hook” is the real secret why anyone would hire a Magical Speaker and is imperative that you understand it before entering the marketplace or designing a Keynote or Workshop. A page full a Topics to get your brain active and a discussion of the various organisations that could accelerate your career. The Resource section follows. I have gathered together what I believe are the very best recommendations for further study. You will quickly find there are a myriad of books, coaches and websites vying for your attention and money when you start investigating this field. We have narrowed this down and have only recommended what we believe are the best for you. A recommended reading list, web sites to explore and some great Free resources that you can use. 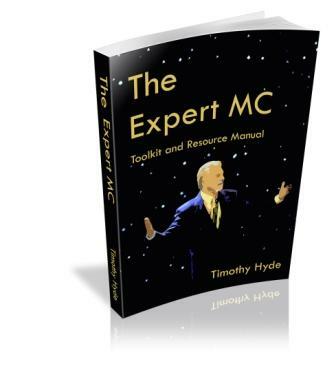 The Magically Speaking MasterClass is aimed at being a Resource Guide and thought starter. It’s intention was to remove some of the clutter and misconceptions and help you avoid some of the blunders I made early on. It’s a collection of tips, inside secrets and encouragement to help you break into this market, sourced from a number of experts to give you different views of what you will need to do. Now Available as Instant Download E Book ! When it was first released as a printed book, the regular pricing of the Magically Speaking MasterClass was US$30. Note – This book was published in 2001. A lot has changed since then. We are currently updating the material, checking all links etc. Buyers of the Book will get a copy of the revised edition when it is finished. We expect it to be ready soon. The price will also be going back up again then.